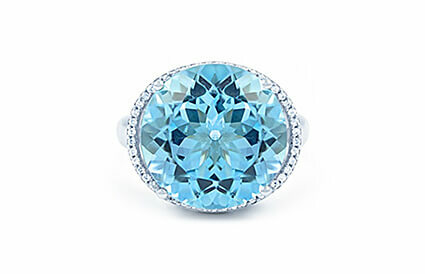 The world’s second most popular gemstone, blue topaz rings have graced the fingers of many. Here at Diamond Boutique, we offer an outstanding selection of rings and complementing earrings that make the perfect gift for a loved one. Untreated blue topaz is a highly coveted gemstone. While most stones have been treated to produce a richer blue, naturally-occurring blue topaz does exist. Explore the collection below or alternatively, you can custom design your own topaz ring with our help. Contact us on +44 (0) 203 6959 885 for more details.